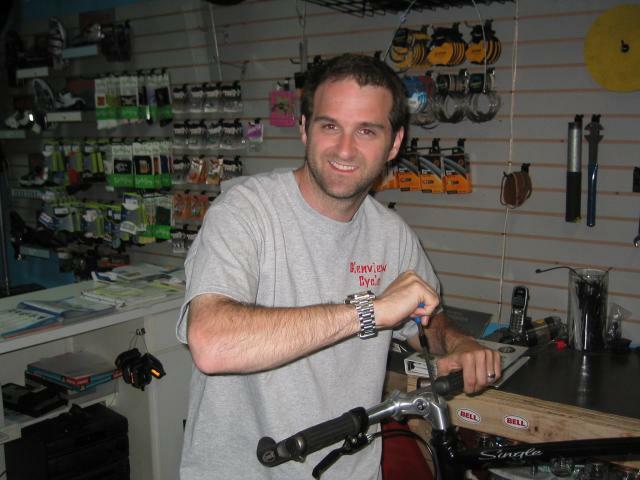 Wow, that's Alan circa 2007! 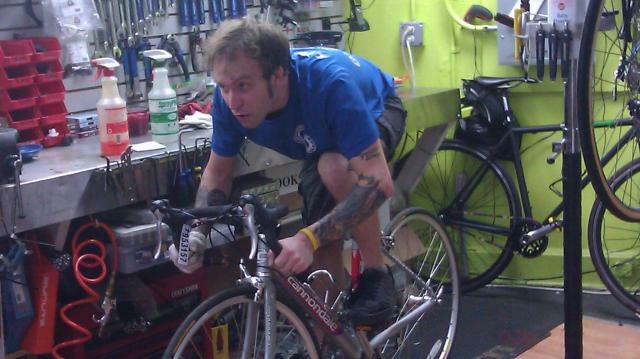 Lead Mechanic Chris test riding a bike that actually fits him! 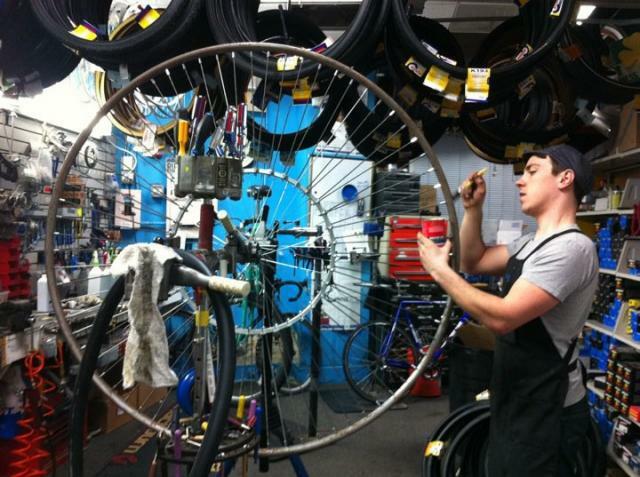 The wheels go round, once Brent builds them! 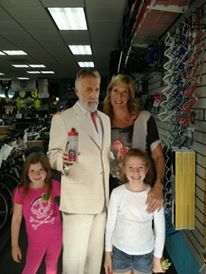 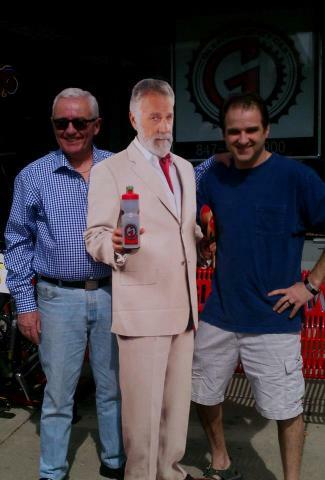 We have some of the most interesting customers!!! 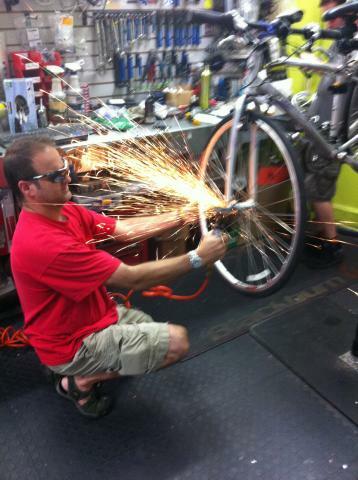 Chris loves working on your bike!